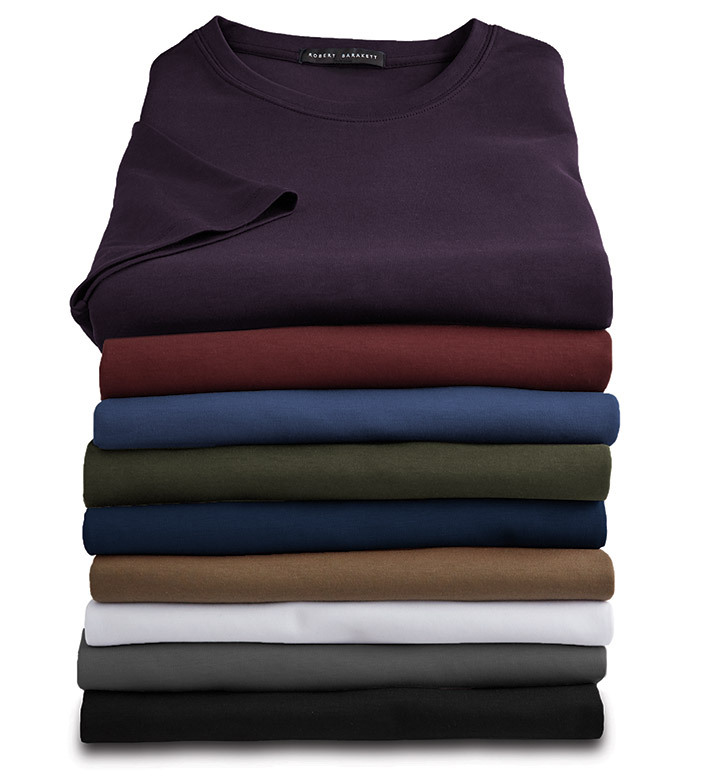 Excellent colors in fine, 100% pima cotton. Short sleeves, straight hem, vents. Comfortable yet slimming fit, with a silky finish for an elegant drape. Ribbed crewneck styling. Machine wash. Imported. The best Tee Shirt, can be worn alone or under a sweater, etc. The neckline is strong and solid!